Eating disorders are very secretive illnesses. The person struggling does just about everything to keep thier illness secret, to not let anyone know just how much they are struggling or all the habits and behaviours. That is often why it can go years before someone is diagnosed or someone realises what you do. Especially when there is no drastic change in weight as many -including doctors - think you have to look a certain way to have an eating disorder. But eating disorders are mental illnesses and so anyone at any size or weight can have them. Weightloss or weightgain are just consequences of the eating disorder. What i was going to write about though is the web of lies often told when you are sick. I was the queen of lies when i was ill..... i had to keep track of all my lies and keep them going to avoid being caught and it was mentally tough. I knew the slightest slip up and i would be discovered. Even though i wanted to tell the truth i felt like i couldnt, sometimes i thought it would be easier to just be caught and othertimes I thought i should confess. I am a very honest person in actuality and i hate telling lies - now i feel even worse when i tell lies because of my past. Often i just go quiet if i dont want to answer something, i feel its much better than lying, but most of the time i am honest and tell the truth. The eating disorder however made me an extreme liar and i had people wrapped around my fingers. However this WONT get you far. It might ease your anxiety right now, help you fall deeper into your eating disorder, but once the lies get revealed you will have dug yourself a pretty deep hole which you will have to climb out. Also the trust level of people around you? It will come plummeting down and it will take ALOT longer for doctors, family, friends etc to trust you. For my case... when i was admitted for my last time at Mando i had told so many lies that absaloutly nobody trusted me or what i said. And also because i never did things right it meant i spent several months as an inpatient with little trips home as i couldnt be trusted. Telling lies can give you anxiety because you know its wrong, but it gets addictive as well as you need to keep telling your lie... once you told the first one you cant stop. So the ball gets rolling and then you need to just try to control it. However you CAN break the cycle. You dont need to just wait to be discovered, because eventually you will be.... in unexpected ways (trust me, my lies have been discovered in very weird and unexpected ways). It is better to just come clean and be honest about your lies. Even if it makes things tough for you rght now and you might feel like sh*t and wish you didnt. 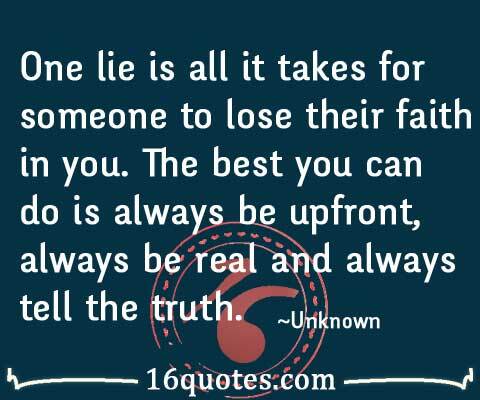 But eventually, telling the truth will benefit YOU. It will help you to recover, to stop living a life of lies, anxiety and guilt. Things might be tough for the moment, but when you can be honest about your behaviours, whether you are doing things in secret, not eating even though you say you are or you are binging or purging or any other behaviours. Be honest about them, get the help you need. This also goes for lying about your weight - it WONT benefit you to cheat on the scale, it will just make things harder for you and take longer time to recover because you are holding onto your eating disorder. It can help if you maybe write down the truth and give it to someone on a piece of paper, or even send a text... sounds silly, but yes. It can be much easier that way. Its easy to back away from tleling the truth when you are infront of the other person, then you suddenly feel guilty, ashamed and dont want to do it anymore. So just email/text/write the truth and make sure the reciever gets it. Know that telling the truth will help you. Because like i said... whether it is 1 week from now or 3 years from now, your lies will have been discovered and the more you spin and expand them the worse the consequences will be. Also realise that by continuing to tell lies you are trying to hide your eating disorder and you arent facing your problems or your eating disorder. I.e you arent actually recovering. Maybe you dont want to recover right now, but you need to realise that lying isnt going to help you. Its better to be honest, it takes away alot of the guilt you are feeling as well. Focus on recovery and fighting your eating disorder!! Find your courage and confess - be honest. Think of the consequences and what will happen if you keep telling lies or what will happen if someone else discovers your trail of lies? It is much better to confess to them yourself than to have someone else discover them. I took your advice from this and talked to my mom. She was very understanding and doesn't hate me; in fact, she gave me a hug and told me she loved me and was glad I decided to tell the truth. She's going to watch me drink my ensures now, and my meal plan was increased... I know it's all for the best. Thank you for helping me summon the courage.